Umakoshi Yoshihiko TOEI Animation Works came out in late July and focuses on Umakoshi's works from HeartCatch PreCure!, Ojamajo Doremi, and Marie & Gali. The art book includes color illustrations along with monochrome character line arts and key animation sequences. Umakoshi Yoshihiko TOEI Animation Works is an extra-wide format A4-sized book with 208-pages. The color pages end on page 112, although the last page with full color finished works is page 101. 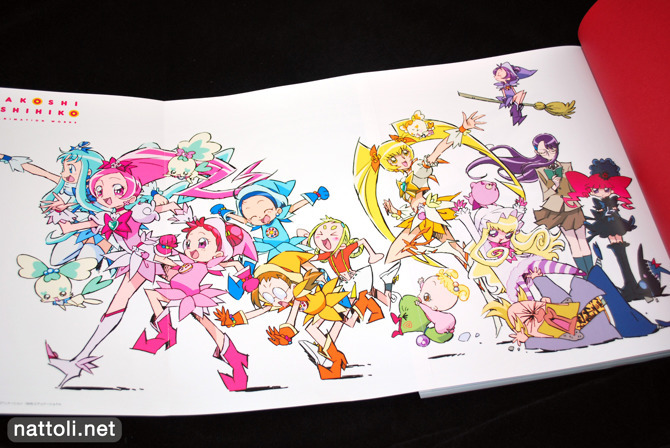 The cover illustration for the collection is newly drawn and features characters from HeartCatch PreCure!, Ojamajo Doremi, and Marie & Gali interacting. The cover art work is featured inside as a three-panel fold-out poster. The illustration gallery begins the book and runs from pages 3 through 84. The first series visited in the gallery is HeartCatch PreCure! covering pages 4 through 19. The art work is mostly featured full-page or as two-page spreads. The spreads aren't printed with overlap, although the single page illustrations are given wide, white margins. 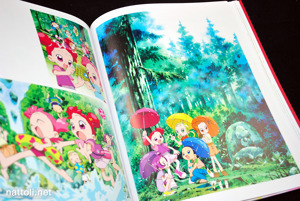 The section for Ojamajo Doremi is the largest, covering pages 20 through 59 in the first half of the gallery. Though most illustrations are well-presented, CD covers in particular are featured 6 to a page. Before the gallery divide on page 63, there are three pages of illustrations from Marie & Gali although one of the illustrations is a spread. 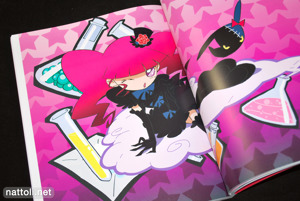 Although still a part of the main image gallery, starting on page 63 and running through page 84, the illustrations come from the video packaging. There are two pages of video packaging illustrations for HeartCatch PreCure!, one page for Marie & Gali and the rest of the section is Ojamajo Doremi. The character designs and key animation works for HeartCatch PreCure! start on page 84 and run through page 143. Out of the three animation sections, this is the only one that has color works, although it's only for the first few pages of the section. Cure Blossom and Cure Marine get 4-pages each, followed by Cure Moonlight and Cure Sunshine with 3-pages each studying their in-costume and casual looks as well as facial expression studies. 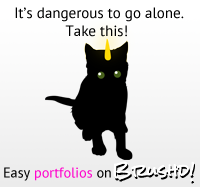 The same thing is done for several other smaller characters, but most only receive half a page. At the end of the section, Umakoshi has a one page talk about his experience on HeartCatch PreCure! I learn Ojamajo things from this book! Highly recommended. In seiya omega ,where is ikki?please!! !